As an organization that traces its founding to the movement to abolish HUAC, we are particularly aware of what happens when any body of the government is authorized to investigate the political views of ordinary individuals and to assemble lists of those who have dared to utter political heresies. We are also aware that the victims of the HUAC era include not only those who were called to testify before the committee or found themselves blacklisted. Amongst HUAC’s victims are those who dared not speak their conscience for fear of government reprisal. If any good can come from this shameful epoch in our nation’s history it will be that we learned that such actions are corrosive to the democratic liberties embodied in our Bill of Rights. As an organization whose founder was called before both HUAC, as well as, the California Senate Committee on Un-American Activities, we have a special obligation to see that history doesn’t repeat itself. While the bill itself targets only for-profit businesses that wish to receive contracts from the state of California, by targeting a specific social movement for penalization participants across that movement will feel a chill. BORDC/DDF takes no position on Middle East politics or the desirability of the aims of the BDS movement, but student governments, churches, and unions are all debating BDS. 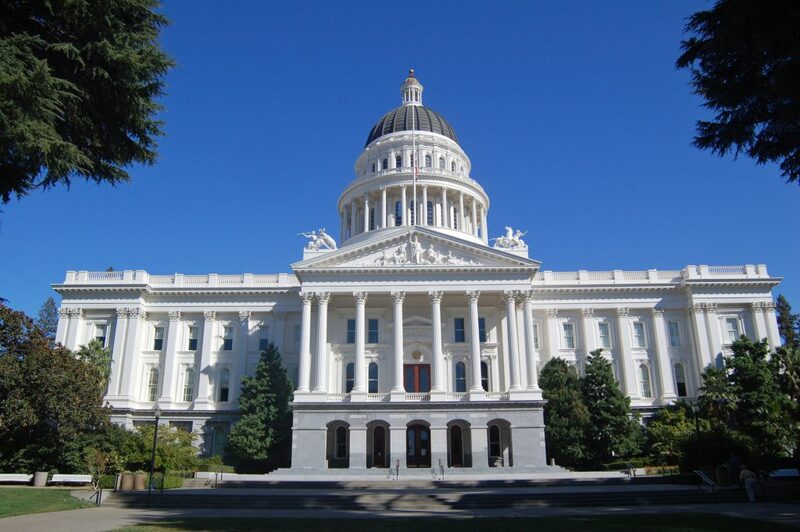 Although none of these institutions are impacted by the bill, if the state of California starts singling out supporters of BDS to be penalized it is hard to imagine that this will not have an impact on such debates. This was confirmed by the hearing itself. Speakers in support of the bill, including its sponsor, Assemblymember Richard Bloom and a supporter on the committee, Assemblymember Don Wanger, devoted a substantial portion of their time to talking about how activism on college campuses makes the bill necessary. This was couched partially in terms of countering anti-Semitism on campus, but the examples given–divestment resolutions, the heckling of an Israeli ambassador, and just the general presence of BDS activism–are all examples of political speech about the policies of Israel. Anti-semitism is abhorrent, as are all forms of discrimination. Attempts though to conflate criticism of Israeli policy or advocacy of Palestinian human rights with anti-Semitism are not good faith attempts to fight discrimination, but rather attempts to exploit legitimate concerns to illegitimately silence speech. It was not just BORDC/DDF who raised constitutional concerns with the initial piece of legislation, so too did the Center for Constitutional Rights, Palestine Legal, the National Lawyers Guild, and the American Civil Liberties Union of California. The Judiciary committee staff also raised similar concerns–that a boycott was protected speech and that the prohibition on contracting with companies because of their political speech about Israel would violate the unconstitutional conditions doctrine. What the Judiciary Staff did do was recommend the bill be amended to specify that only “discrimination in furtherance of a boycott” would be subjected to prohibitions, something the bill’s sponsors accepted. It is unclear what exactly would be the effect of this bill. There is nothing wrong with anti-discrimination laws and federal, state, and local laws in California already prohibit discrimination in employment and discrimination by public contractors. For those reasons, it seems difficult to imagine what new ends the bill will accomplish if the bill was exclusively used to target genuine discrimination and not political boycotts. Yet, the bill’s sponsor and supporters put up no objections to the amendments. All of the comments made about the urgent need for the bill to combat campus activism were made in support of the amended bill. When prompted by committee Chair Mark Stone the bill’s sponsor seemed open to change the name so long as doing so did change the point of the bill. For the time being though, the name of the bill remains the same–The Combatting Boycotts, Divestment, and Sanctions Act of 2016. This name alone reveals an impermissible aim of the bill, combating speech disfavored by its sponsors. The name, as well as the comments by the bill’s sponsor and supporters at Tuesday’s hearing are illuminating. There is little, if any interest, in the preventing actual discrimination amongst public contractors. Instead, supporters of the bill are concerned that speech they don’t like is taking place on college campuses and want to chill it.